Do you love a good barbecue and wish you could enjoy it at home more? The key is building a proper BBQ pit. The first thing you need to do is make sure you have all the materials for making a BBQ pit. Make sure you have these materials on hand: a hand tamp, shovel, cinder blocks, measuring tape, gravel, dry mortar, water, a trowel, a leveler, a carpenter’s square, metal braces, a grill top and bricks. Next, you need to find the perfect spot for your BBQ pit. Your BBQ pit needs to be about 3 feet by 5 feet, which is approximately 4.6 meters square. You also need to make sure the area is clear of any brush and that the location doesn’t pose any fire hazards. Also factor in the distance from the house, keeping in mind safety and practicality (how far do you have to lug out the meats and other ingredients). Now it is time to start digging. Mark the area where you plan on building your BBQ pit and then dig down 8 inches (20 centimeters) deep. Next level off the bottom of the pit with a hand tamp. At this time you should also soak your bricks with water. Once your pit is ready, you then need to layer it with gravel, about 2 inches worth. Just level this off with the hand tamp too. For this step, you need to mix the dry mortar with water. Always make sure you add enough water to keep the mortar moist. For best results, spread about a 2 inch (5 centimeter) layer on top of the gravel and then level it off with a trowel. Make sure you work quickly so the mortar doesn’t harden before you have it all level. Next place the cinder blocks on the edges of the mortar, leaving a small hole or two for drainage. Continue to use the leveler to make sure the cinder blocks are even and then check your corners with the carpenter’s square. To start brick laying, first spread some mortar on top of your cinder blocks and then place the bricks side by side over them. By doing a double layer of bricks, you will ensure that the pit is structurally sound. Remember to remove any extra mortar as you go because once it is dry, it will be hard to scrape away. Another option is to add the mortar to each brick individually. Simply put mortar on the sides and bottom of each brick using the trowel and then add to the structure. Continue adding the bricks until you have the height you want for your BBQ pit. As you are building it up, make sure you check the levels and corners frequently. The final steps to making a BBQ pit are to place the metal braces in the last layer of mortar while it is still wet. Because they will be used to hold the grill up, they need to be facing inward. Once the mortar is dry, most likely by the next day, you can then place the grill top on the metal brackets. Switch to Wood. 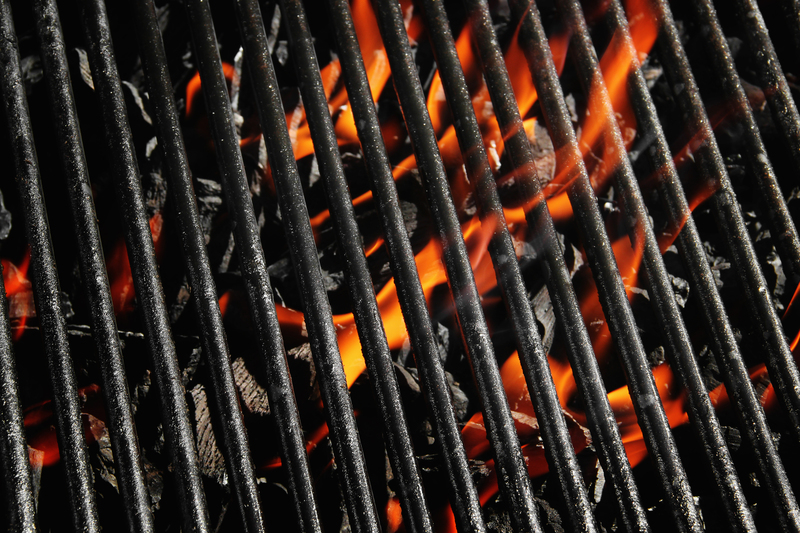 Consider making the switch from charcoal to wood for a more smoky, woodsy flavor to your meat. Make sure to use good quality wood and only let it burn for about four hours so it doesn’t over-smoke the meat. Quality of Meat Matters. Of course having the right ingredients for your menu is important, especially for barbecue. Really look into the potential sources for your meat and make sure you getting the best quality. Decide if it is important for everything to be organic or not, and aim for meat from animals that were reared outdoors because the quality of the meat will be better. Not Every Cut Is Equal. It may surprise you, but the cut of meat you order or pick up can determine not only how many people you can feed with it, but also how good it tastes. When you are cooking steaks, the beef feather blade is a good quality cut that is relatively inexpensive. Colder Meat Is Better for Barbecue. For the tastiest barbecue, make sure you keep your meat in the fridge until the very last minute. This ensures that the meat will take on enough smoke. Meat that has a lot of edges and ridges is also better at taking in smoke so if you have pieces that are really smooth, go ahead and rough it up a bit before putting in on the fire. Flavor Is a Balancing Act. The BBQ rubs and sauces are the key to really good flavor. But it doesn’t have to be fancy to taste good. A mixture of sea salt and black pepper can really bring out the natural flavors of the meat. Through trial and error you will find the just right hint of flavor. Don’t be afraid to experiment a little. Remember that Practice Makes Perfect. Any BBQ pro worth his or her salt knows that you need to put in time over the fire to really become an expert. Especially if you are trying to perfect your barbecuing skills for your restaurant, then you need to spend hours perfecting your craft. Practice, practice and practice some more. Never settle for just okay barbecue. Feeling confident about your BBQ skills? 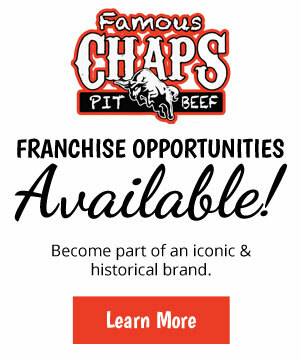 Then it is time to #PitUpOrShutUp for your chance to win your own “Pit Party” catered by Chaps “Famous” Pit Beef’s Bob & Donna. Simply snap a pic or video of your own Pit, Grill, Hibachi or whatever you use to barbecue on and share it on social media using hashtag #PitUpOrShutUp. 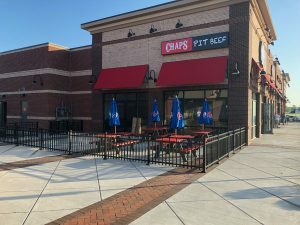 Chaps will randomly choose one winner to receive your very own “Pit Party” for you and 50 of your friends! For more information, click here.